The Nuclear Waste Policy Act of 1982 (“NWPA”) provides that the NRC “shall consider” the DOE’s license application to store nuclear waste at Yucca Mountain and “shall issue a final decision approving or disapproving” the application within up to four years. In June 2008 under the Bush Administration, DOE filed a license application with the NRC. In 2010 under the Obama Administration, DOE moved to withdraw its application and terminate the project. The NRC’s Atomic Safety and Licensing Board (“Board”) denied the motion to withdraw, but on review, the NRC was divided 2-2 and unanimously directed the Board to suspend the license application proceeding and preserve necessary records because of budgetary constraints. Since 2010, petitioners, which include the States of South Carolina and Washington as well as entities and individuals in those States, have sought a writ of mandamus to require the NRC to comply with the NWPA and resume processing the DOE license application for Yucca Mountain. In 2011, a prior panel of the Court indicated that mandamus would likely be appropriate. See In re Aiken County, 645 F.3d 428, 436 (D.C. Cir. 2011). On August 3, 2012, the Court issued an order holding the case in abeyance in order to provide time for Congress to clarify its intent regarding funding for the Yucca Mountain project and directed the parties to file updates on the status of Fiscal Year 2013 appropriations. Although mandamus was not issued in 2012, the majority of the Court made clear that given the statutory language and availability of funds (approximately $11.1 million in prior appropriations), the NRC ought to be processing the license application. The Court explained that mandamus would eventually be granted, if the Commission did not act or if new legislation was not enacted that terminated the Yucca Mountain project or made clear that the Commission may not expend the appropriated funds. After waiting for over year for action by the NRC or Congress, the Court issued a writ of mandamus against the NRC on August 13, 2013. The majority opinion of the Court was written by Judge Kavanaugh, and joined in all but one section (Section III)  by Judge Randolph. Chief Judge Garland filed a dissenting opinion finding that mandamus in this situation would be useless. The majority opinion maintains that “this case has serious implications for our constitutional structure.” The majority opinion explains that under Article II of the Constitution and relevant Supreme Court precedents, the President, executive agencies, and independent agencies such as the NRC must follow statutory mandates so long as there is appropriated money available, and there is no constitutional objection the statute. The majority opinion also noted that the decision does not prejudge the Commission’s consideration or decision on any attempt by DOE to withdraw the license application. The majority added that if Congress decides in the wake of this decision that it will not be funding Yucca Mountain in the future, the Court hopes that Congress would act to avoid wasting the available $11.1 million. The dissent by Chief Judge Garland, who did support holding the case in abeyance in 2012, concluded that mandamus in the current situation would be a waste of the $11.1 million in available funds. According to Judge Garland, the available amount would not lead to any meaningful progress and be just enough to take the program out of storage and then repackage it for storage again. The government could petition for rehearing before the panel of the Court or the entire Court (en banc) or both. The government has 45 days to make such a request. The Court’s mandamus could go into practical effect after those 45 days expire if no rehearing is granted or would not issue until after the Court acts on the rehearing request(s). It is more likely that the government would seek a rehearing en banc rather than a panel rehearing, given the strongly worded opinion of the majority that the NRC was “flouting the law.” If rehearing is granted, it may take several months before an en banc rehearing was held and an opinion issued. The government could decide to forgo the rehearing requests and file a petition for a writ of certiorari with the Supreme Court. The government would have to file a petition for a writ of certiorari within 90 days of the August 13, 2013 ruling or denial of rehearing, whichever is later. Filing a writ of certiorari by itself would not stay the mandamus; the government would have to request a stay as well. Given the narrow basis of the ruling, which focused on the statutory mandate in the NWPA for the NRC to review the Yucca Mountain license application and the undisputed fact that congressionally appropriated funds were available, it does not seem probable that the Supreme Court would grant review in this case. The government could decide that the NRC will just comply with the Court’s decision and continue the license proceeding using the available $11.1 million in appropriated funding. If Congress does not appropriate additional funds, which it likely will not, then the NRC would probably expend the funds in a year or two. After using all the available funds, the NRC would then suspend the license application proceeding due to a lack of funding. This may be the path of least resistance for the NRC, but it will be criticized as waste of the $11.1 million in available funding. While the majority’s opinion is a strong warning against “agency nullification” by the NRC of a statutory mandate in the NWPA that is supported by (limited) Congressional funding, this decision will not resolve the ongoing saga surrounding the Yucca Mountain project. The decision may, however, serve to urge more action by policymakers to address the challenge of disposal of our spent nuclear fuel. 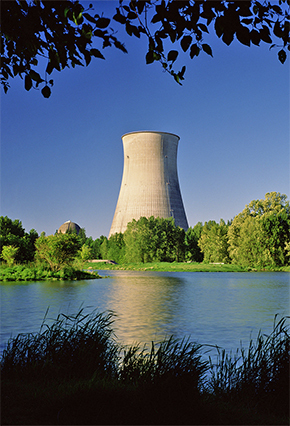 For example, there are efforts in the Senate to move legislation (S. 1240, the Nuclear Waste Administration Act of 2013) to develop a consent-based siting regime and interim storage for spent nuclear fuel based on the recommendations of the Blue Ribbon Commission on America’s Nuclear Future. This decision may help create momentum for further consideration of that bill or other proposed solutions. Until Congress and the Administration come to some kind of agreement on how to move forward on spent fuel, litigation and policy obstacles will continue to hamper the potential for the United States to fully leverage the benefits of clean nuclear power. Van Ness Feldman, which served as outside counsel to the Blue Ribbon Commission on America’s Nuclear Future, closely monitors Yucca Mountain-related litigation, DOE and NRC actions on nuclear matters, and Congressional activities related to nuclear policy. If you have any questions, please contact Robert Nordhaus (rrn@vnf.com), Michael McBride (mfm@vnf.com), or Lisa Epifani (lee@vnf.com). Section III of the opinion, which was supported solely by Judge Kavanaugh, discussed at length the limits of presidential authority to ignore statutory mandates considered unconstitutional and the parameters of the Executive branch’s prosecutorial discretion.